The following are the times for the liturgies at the Pontifical Irish College for Holy Week and Easter 2018. All are welcome. Holy Thursday, 29th March: Mass of the Lord’s Supper at 18.00. Good Friday, 30th March: Celebration of the Lord’s Passion at 15.00. 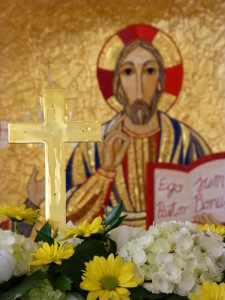 Holy Saturday, 31st March: The Easter Vigil at 21.00. Easter Tuesday, 3rd April: Ordination to Diaconate of Anthony Briody and Declan McGeehan at 10.00am in the Basilica di Santa Prassede, Via di Santa Prassede, 9, Rome.